This example will show how to add/execute a callback function in PCell parameters. 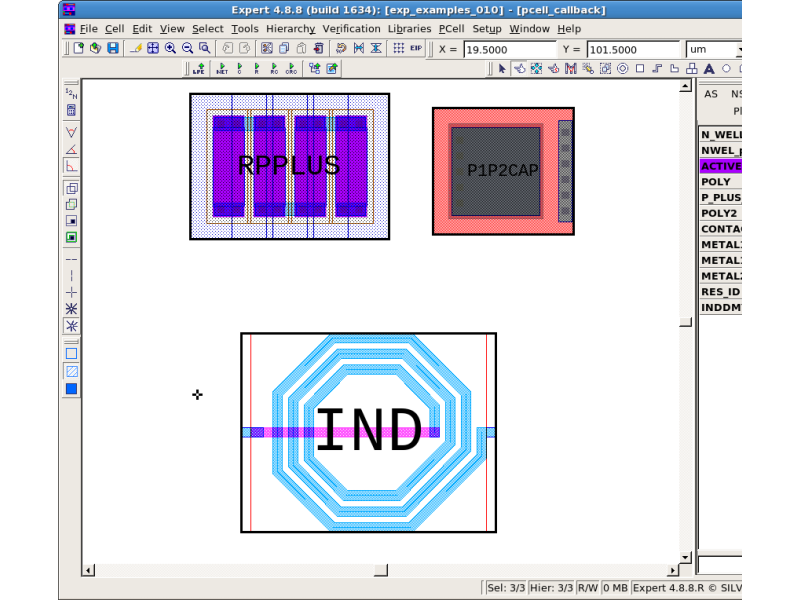 Open the "P1P2CAP" cell, then a Script panel for P1P2CAP will appear automatically. This PCell is created using LISA, and requires a "set_pcell_callback" function in the BODY block. 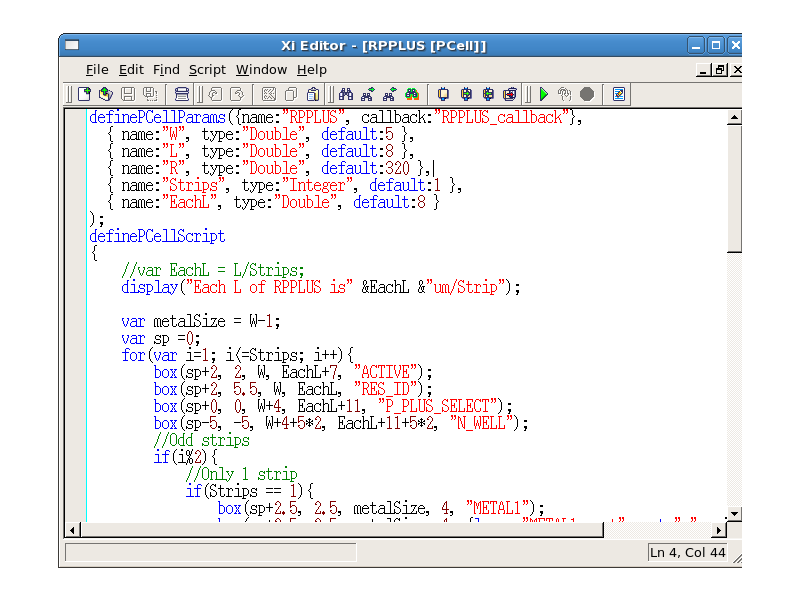 To open the script window, select Tool->Script->Script Panel . From within the script window, choose File->Open and select the file callback_func.js. 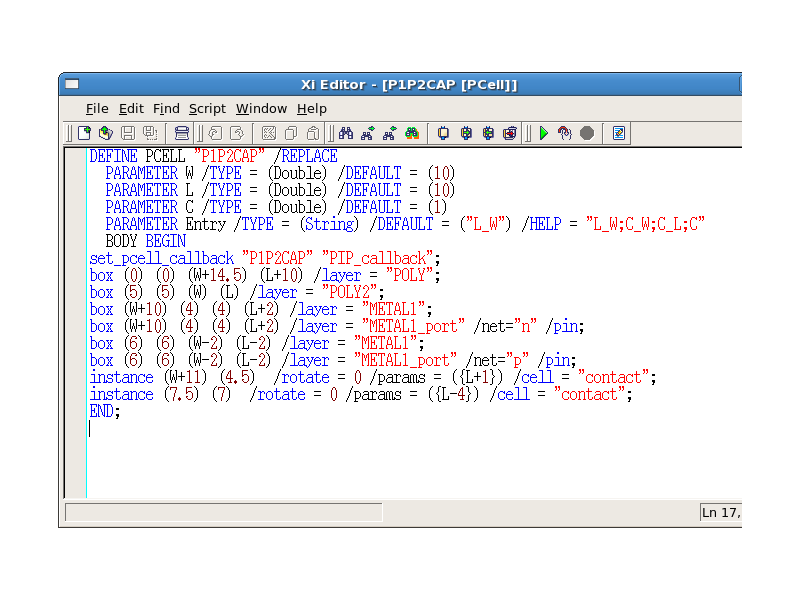 Open the "pcell_callback" cell as in pcell_callback_layout.png . 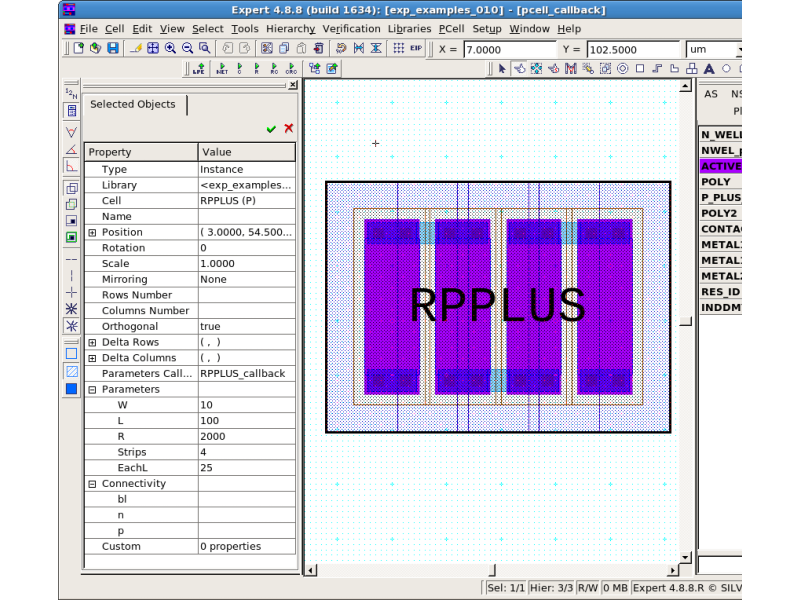 Select the RPPLUS PCell in the layout as in rpplus_layout.png . Change the R, L, W, EachL, and Strips parameters in the Property Bar one at a time. Other related parameter values will be updated according to the expressions in the callback function when you change active parameter in the Property Bar window.